Washlet is the product name of the modern Western-style flush toilet seat equipped with a nozzle for squirting water to cleanse the bottom after defection. The first toilet seat with an integrated bidet was imported into Japan from the United States for medical use. A major Japanese toilet manufacture developed the toilet seat for use by general public under the product name Washlet. The product became a major hit over time. 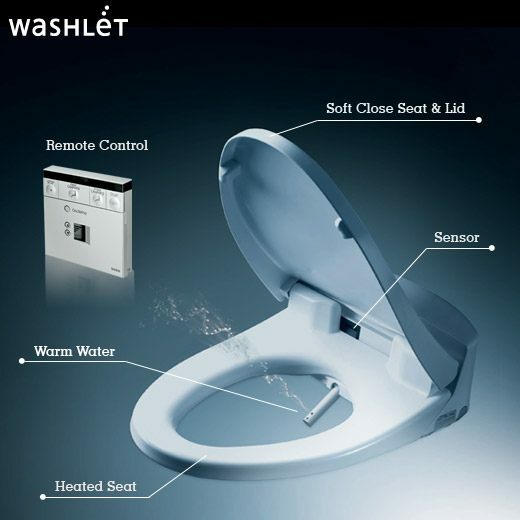 The Washlet now comes with number of additional features, such as seat heating and bidet function and it is also gaining popularity in the west. 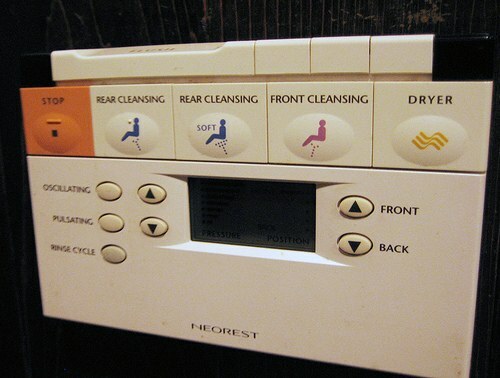 Related article: High-tech Toilets in many Japanese buildings; enjoy the advanced features!! High-tech Toilets in many Japanese buildings; enjoy the advanced features! !